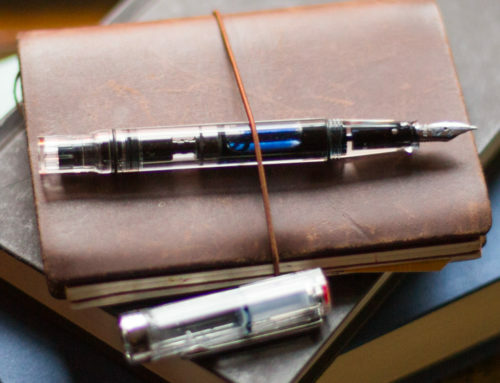 Have you ever looked at the bottles that your fountain pen ink comes in and wished you could re-purpose them after the ink runs out? The variety of shapes and sizes is nearly endless, so it’s almost guaranteed you can find a new life for your bottles with a little creativity! 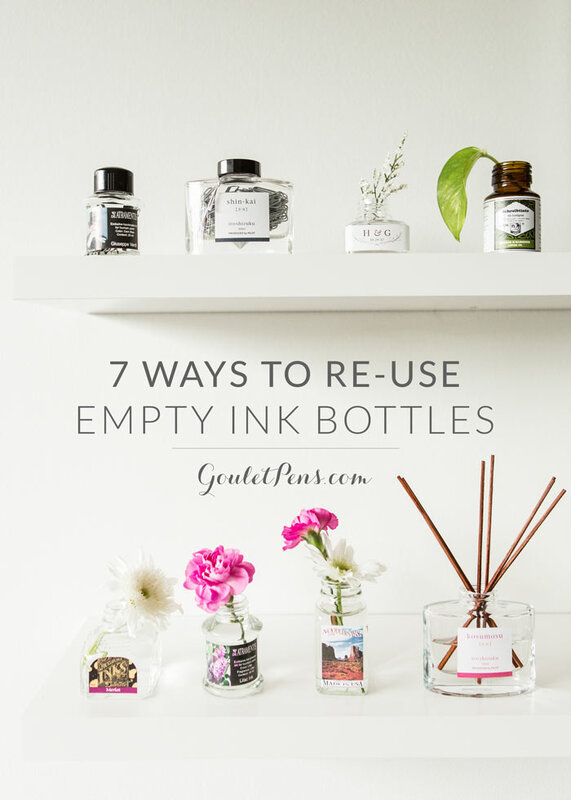 Read on below for some of our suggestions for reusing your empty ink bottles. 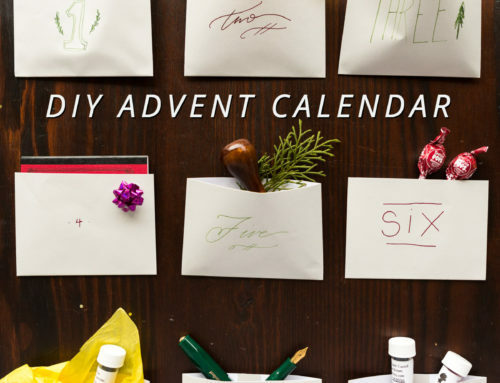 To begin, you’ll want to clean out the bottle before using them for any projects. There will be traces of ink still in the bottle. Add a drop of dish soap and shake it with a bit of water inside a closed off bottle to remove ink. Flush through with water until all the soap is gone and then leave your bottles upside down on a towel to dry. You can also soak your bottles if you’d like to remove the labels. 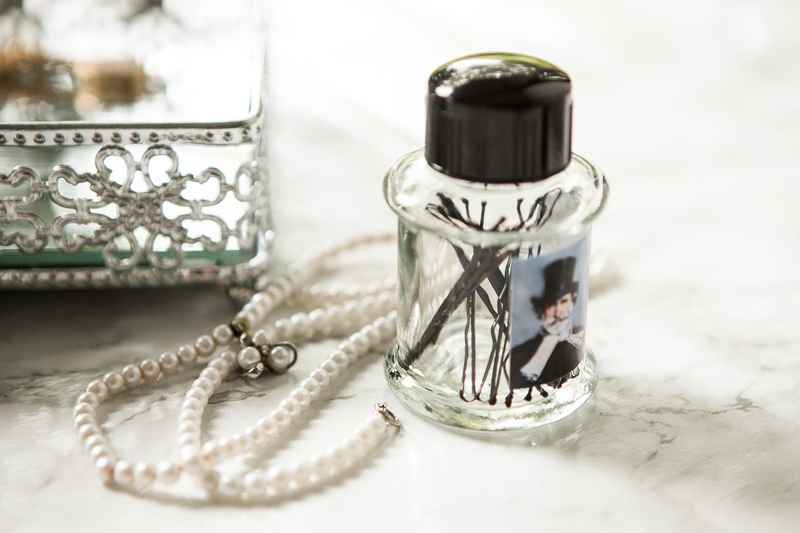 Now you’re ready for one of the many fun ink bottle uses below! Surely, you’ve got all kinds of knicknacks and small items floating around your desk. Round up those paper clips or push pins and stow them away in an appealing vessel. 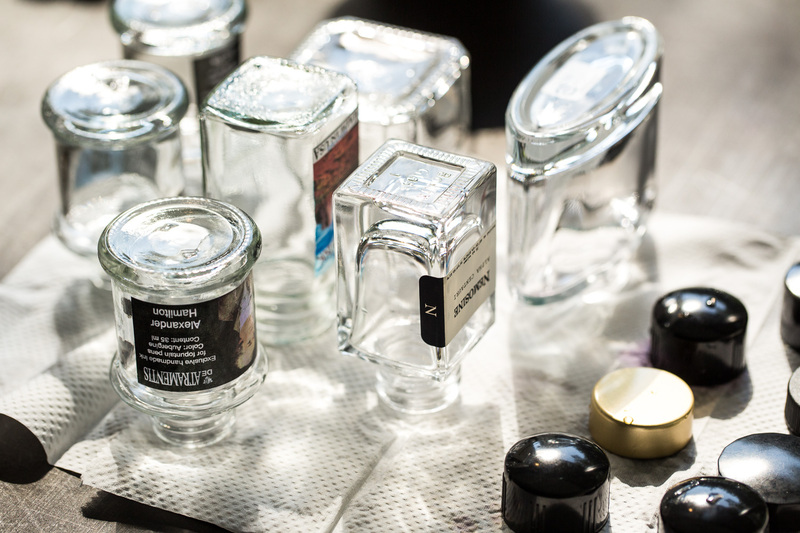 The ink bottles allow for easy access to these items, while keeping them contained. 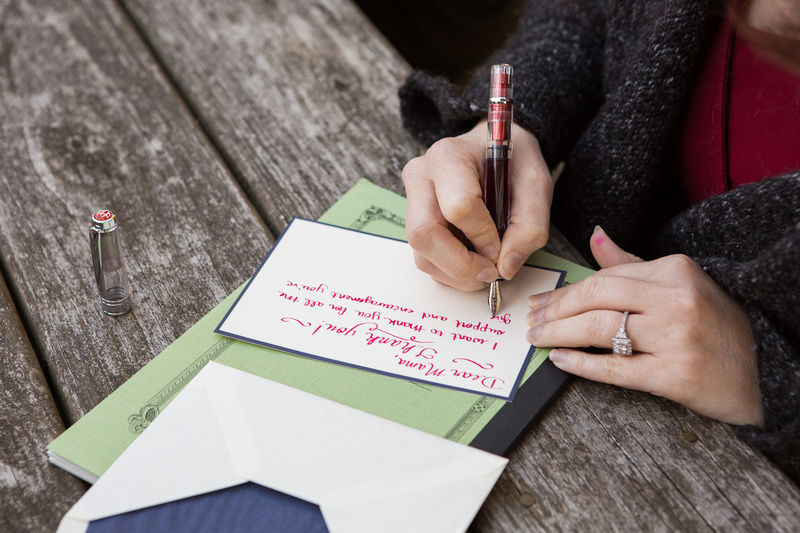 Send your guests home with a one-of-a-kind momento. You can personalize each bottle with a custom label with your names, monogram, date, or anything else special you might want to include. Add some candy or a simple flower and you’ve got a great and unique favor! 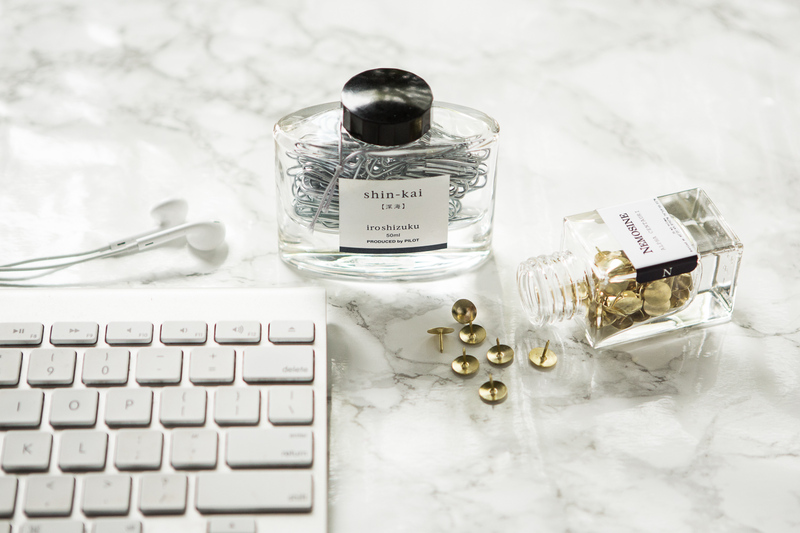 You can brighten up any table or desk space with your ink-bottle-turned-bud-vase. 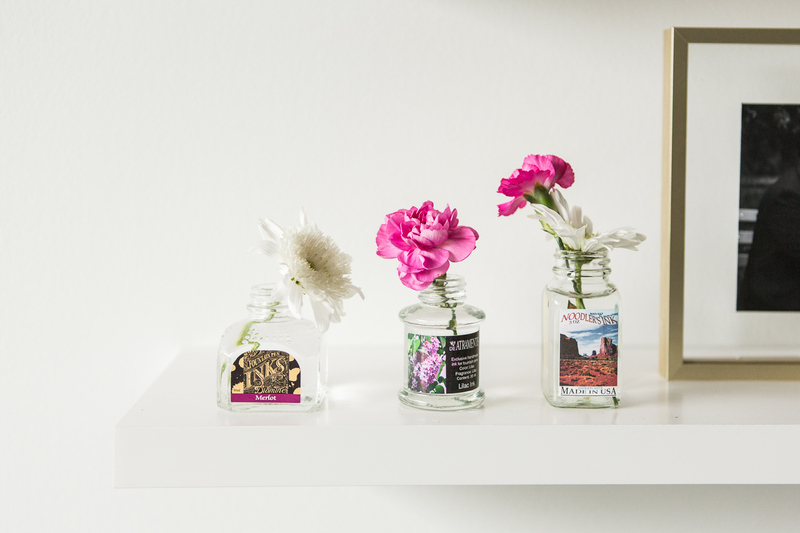 Once you’ve cleaned the bottle out, it makes the ideal home for some cheery little blooms and buds. How often do your bobby pins and hair accessories seem to disappear into thin air? 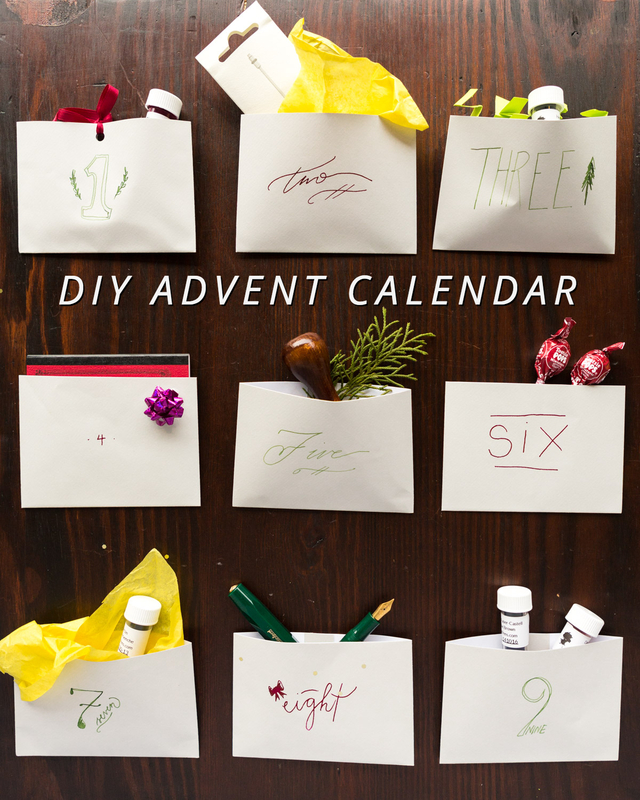 Keep them collected and contained in one spot by repurposing an empty ink bottle! 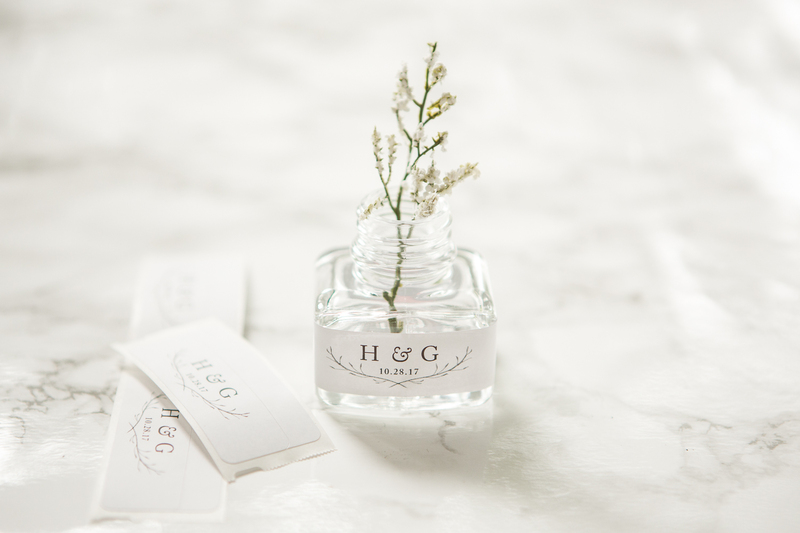 Especially with some of the larger capacity bottles, you will have plenty of space to stow away pins, clips, and hair ties for safe keeping until you need them again. 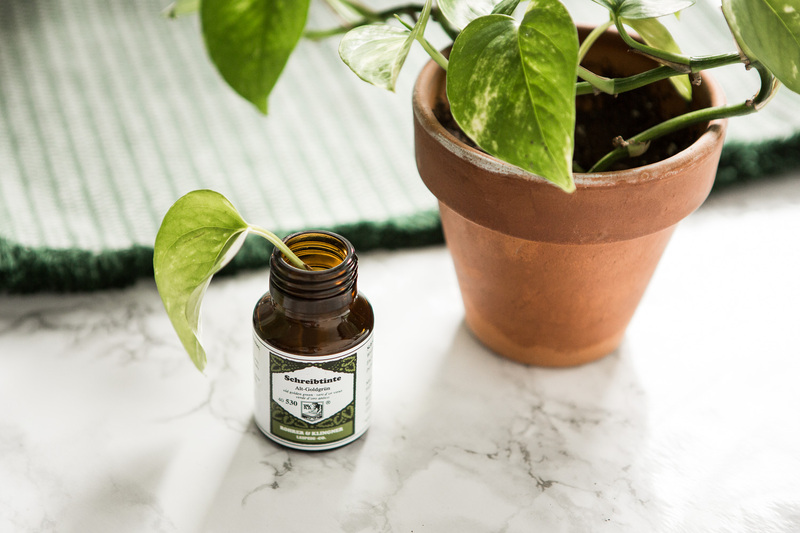 Test out a clean empty ink bottle as a tiny terrarium for a petite plant! 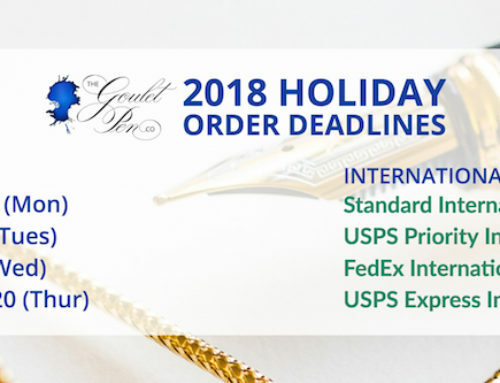 It is the perfect size for a little sprout to add some greenery to your desk. Put an ink bottle to use for propagating a new plant. 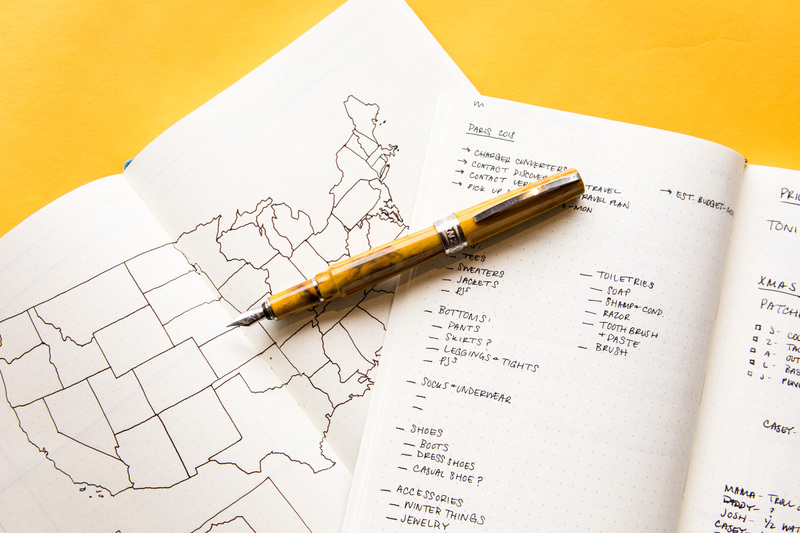 Place a clipping into your ink bottle with some water and watch your plant shoot up, much like your inspiration to write with your pens. The power of smell has a strong connection to your mood. 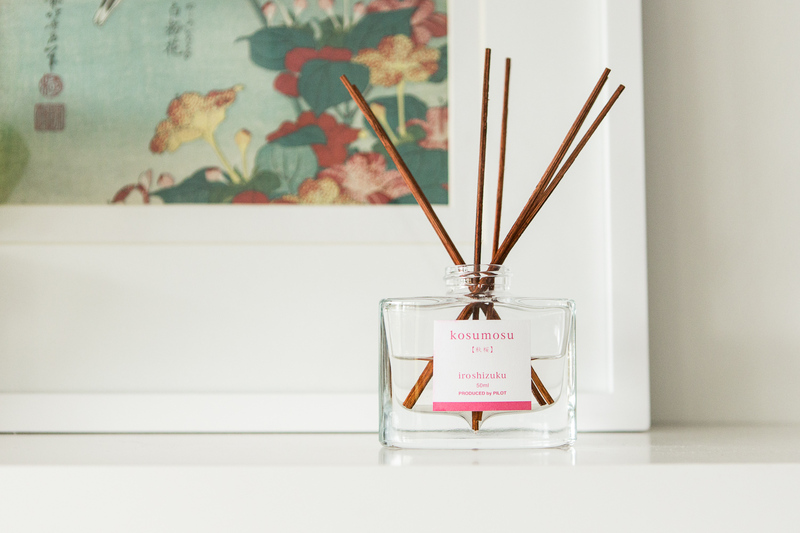 Surround yourself with calming vibes and create a serene space by making your own diffuser with some reeds and essential oils. 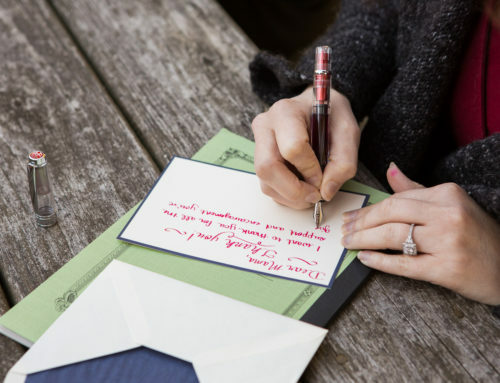 Fill the empty ink bottle with your favorite scents and soak your reeds. Soon, you’ll have a refreshing aroma all around you. The more you can recycle in this world, the better. 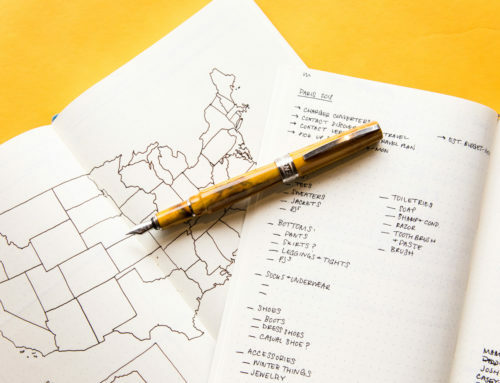 If you have no use for the previous ideas, you can still give your empty ink bottles a second life by recycling them to be reused in another way. 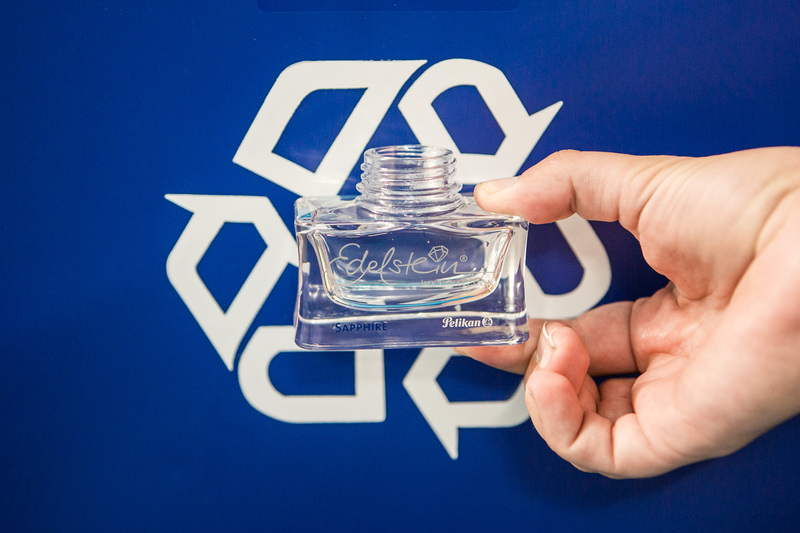 Most recycling programs should take clean ink bottles, just as they would empty soda bottles. If you don’t have any empty bottles laying around at home, you can also find some for purchase on our site! 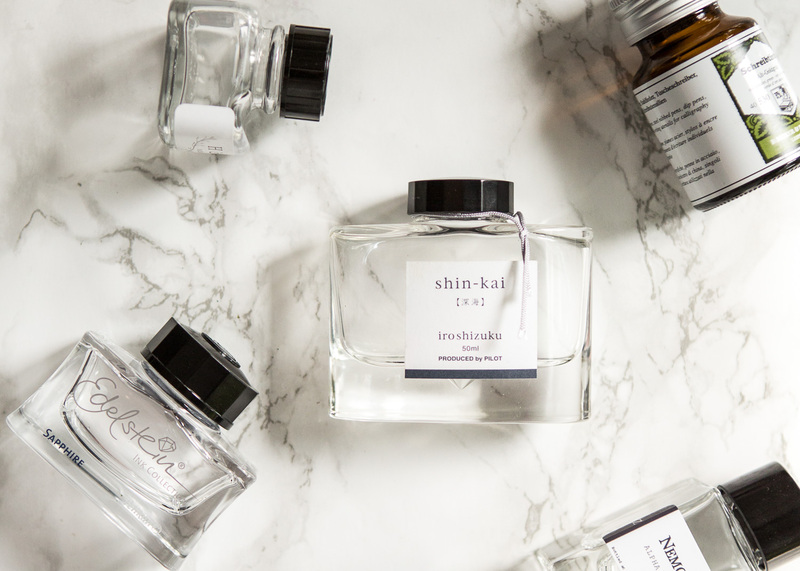 Check out our selection of empty ink bottles. 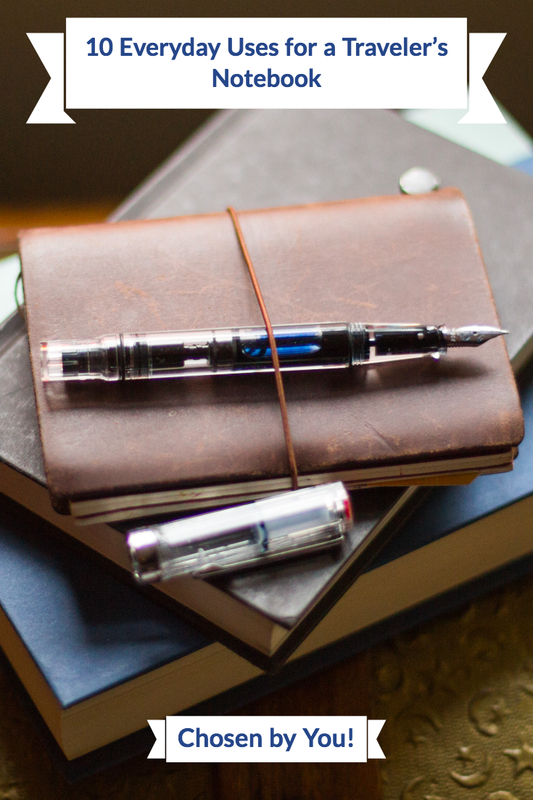 How do you reuse your empty ink bottles? We’d love to hear about it in the comments below!